There are numerous factors that have contributed towards the rise of the real estate sector in Gurgaon. These factors include favorable climate, proximity to the national capital, impressive infrastructure and immense potential for growth. The city is also known for generating large number of jobs in various sectors. This is one of the vital reasons why people mostly prefer Gurgaon when it comes to buying a residential property. People from various parts of the country gather here for job opportunities – this has resulted in raising the demand for more residential properties like flats, houses and apartments in Gurgaon. Let’s have a look at the various types of residential properties in Gurgaon. Luxury villas in Gurgaon – Luxury villas in Gurgaon come with the best possible amenities that you can crave for. These villas are featured with different facilities like swimming pools, health clubs, tennis and squash courts, kids play area as well as high speed Wi-Fi connectivity. These expansive ultra-luxury villas are designed by renowned architects and are at par with international standards. Tastefully designed with Italian marble and hardwood flooring, these flats are equipped with private Jacuzzi, capacious terrace, and front and rear lawns. Besides, you can also enjoy golf park and lush surroundings. Luxury apartments in Gurgaon – Luxury apartments in Gurgaon offer you an opportunity to fulfill your dream of living in a luxury apartment coupled with all the modern facilities. Spread over a large area, these apartments are designed using cutting-edge technology that set unequaled benchmarks of comfort and luxury. These apartments provide you facilities like unique two bedroom duplexes, clubhouse, sports center, lush landscape and round the clock power supply, just to name a few. Ready to move in flats and 2BHK flats in Gurgaon – Ready to move in flats in Gurgaon are in great demand because of their wide range of facilities. These facilities include separate room for servant, attractive interiors, marble flooring, impeccable wood works, modular kitchen, swimming pool, club, security, and car parking. 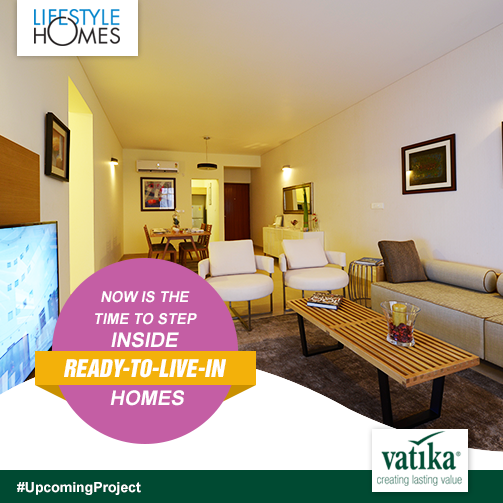 Similarly, you can enjoy a convenient living in a spacious 2BHK flat in Gurgaon too. These flats are well-known for their features like pebbled pathways, sporting facilities, gardens and split air conditioners installed in all rooms. This entry was posted in Residential Property in Gurgaon and tagged 2BHK flat in Gurgaon, luxury apartments in gurgaon, Luxury Villas in Gurgaon, Ready to move in flats in Gurgaon on December 19, 2014 by Admin.